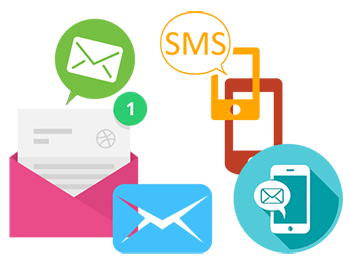 Smart Vision IT solutions are the premier specialists when it comes to providing Bulk SMS service in UAE. The response rates received from our clients show exceptional results when Bulk SMS service is used with Smart Vision IT solutions in comparison to other direct marketing ideas or providers. Are you planning to implement SMS services? Look no further than Smart Vision IT solutions; we are your solution in providing SMS services in UAE. We guarantee our clients exceptional service, providing all the tools you'll ever need. Were the most experienced Bulk SMS service provider in UAE, our long standing service history with businesses in UAE speak for itself! We get asked regularly, where are Bulk SMS marketing service used? Simple, your company can avail this service to handle marketing campaigns, to send price alerts, stock quotes, news headlines, weather forecasts, special offers, sports scores, classifieds, holiday packages, horoscopes and much more, the possibilities are just endless! Our SMS marketing services have provided many of our clients, who have ventured into the larger picture of the business world with the ultimate SMS marketing experience. Our clients have increased their sales margins tenfold and it has allowed them to retain their existing customers with ease. At Smart Vision IT solutions we even provide you with premium services to reach your client base worldwide without using your cellular network! Our systems are linked to incredibly fast networks providing unparallel speed with our SMS marketing services in UAE. Technically qualified and dedicated staff to provide the ultimate customer service. SMS marketing services in UAE will allow your brand name to become renowned because of the sender ID which is inscribed with your brand name. Your data is in safe hands with SMS marketing services. No worries about data being leaked or stolen. Our database security system is extremely powerful and efficient. Talk to us about your SMS needs today!